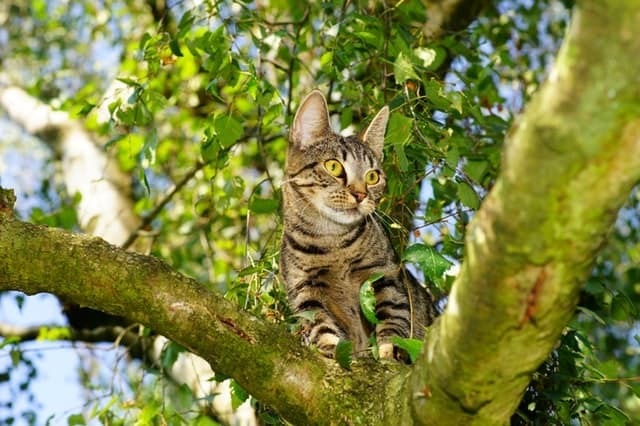 Does your cat love to climb around on your furniture to get a bird’s eye view? 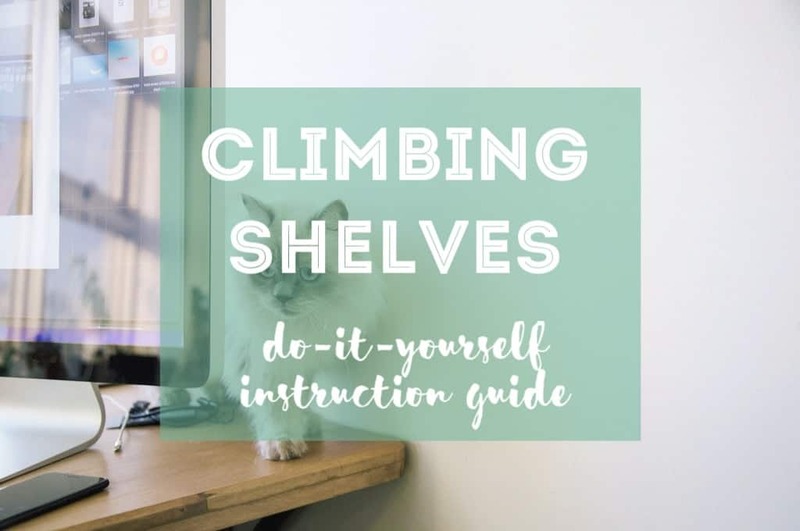 You can make a cozy climbing space for your feline with DIY cat climbing shelves! They can roam around the house with the best view in the room, giving them exercise and enjoyment all at the same time. Ready to learn more about how to make your own cat shelves? Get your toolbox ready so that you can whip up a few of these excellent weekend projects! 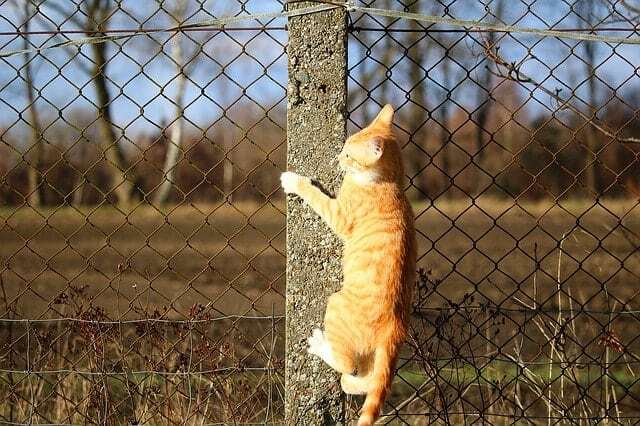 You may have already realized it, but your feline is hardwired to climb up every surface they can. 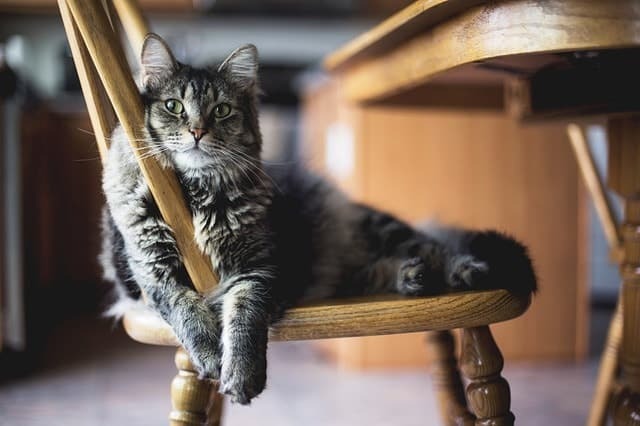 Many pet owners struggle to keep their kitty off the counters, the backs of their furniture, and other odd spaces where your cat might eventually end up. DIY cat climbing shelves are a solution to that problem. Climbing shelves give your cat a higher vantage point where they can easily survey their surroundings. It’s a way of making your cat feel a little safer in their home environment. They know exactly what is going on all the time, and they can view it safely from atop their lofty perch. This is also a great space for your cat to get away from things it might find frightening. He or she can hang out on the cat shelves while you vacuum, while the puppy plays, or when you have guests over. All of these convenient things make it easier for your cat to tolerate changes to the environment while still feeling safe. Climbing shelves are just another way to make your feline feel more at home! Are you interested in making your very own cat shelves? 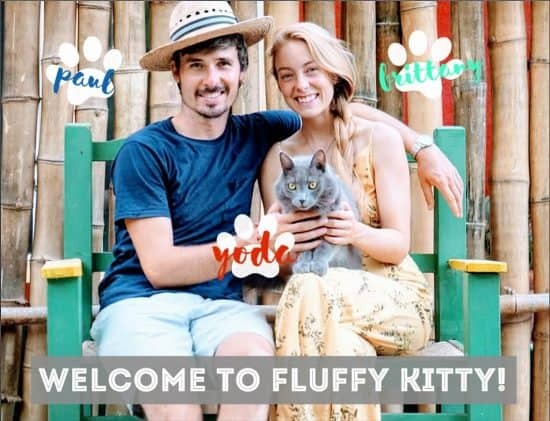 Making them from scratch is the easiest way to customize the shelves that will match your home décor and suit your cat’s size the best. Fortunately, it’s super easy to make your own cat shelves! Purchase a plank of wood that is the right size and thickness for what you want. However, you can also follow our steps here. Sand your wood to make sure that it is nice and smooth for your cat. If you plan to paint or stain the wood first, this is the easiest time to do so. Attach the shelf supports to the underside of the wood shelf on each end. Attach any rope or carpet that you might be adding for your cat to scratch. It should fit neatly between the two shelf supports (one on either end of the board). You can fix the carpet in place using a staple gun or hot glue the rope in place. Make sure that it attaches on the underneath of the shelf where your cat won’t get hurt. Screw the shelf into the wall using the studs for support. If you can’t find the studs, a drywall screw should give you more security to help anchor the shelf into the wall. We highly recommend using the studs to give your kitty a little more support though! Making the shelves should cost less than $15 each, but it can pay off big time for your cat’s entertainment. Now that your shelves are made, it’s time for you to take a closer look at how to place them on your wall. Placing your cat shelves logically is one of the most difficult tasks about creating your own set. The trick is to place them far enough apart that your cat gets an excellent workout but not too far where they might struggle to reach the next shelf. The easiest placement is to find one vertical wall that is completely clear of other items. Start with one placed to the left near the bottom of the wall. The next one should be to the right a little further up. Continue going until you reach the ceiling (about three to four shelves high). Everything should form one straight line down the middle of the shelves. You can also place them all in one long line near the top of your wall. You may need some lower shelves to grant your cat access to these taller points in the room. This type of shelf gives your feline plenty of room to prowl around with a bird’s eye view. Alternatively, you might choose not to mount your cat shelves at all. If you live in an apartment or a rental home, you might not be allowed to put holes in the wall. Your cat can still enjoy the benefits of DIY cat shelves with a homemade ladder instead. You really have endless options when it comes to creating your own shelves for kittens to crawl all over! Create the base of your cat shelves the same as you would for hanging them. Cover them with carpet or rope, if you desire. Make sure to leave the side edges free of any type of covering. Next, you can take two long pieces of wood (such as a 2×4 or something else that fits in your space). Cut the tops and bottoms at an angle so that it will fit flush with the floor when leaned back against the wall. This step is crucial to ensuring a safe ladder of climbing shelves for your feline, so take your time. Measure twice but cut once! Once you have the angle figured out, you can lean the ladder back and begin to put the shelves in place. Simply screw them in from the side on each side of the ladder. Space them equal distance apart all the way up your 2×4 posts. When you’re finished, you should have a complete ladder that lets your cat climb high! Making your own cat shelves is an easy way to make your feline feel more comfortable and get some exercise. For just a few dollars, you can make your own DIY cat shelves for a customized look that truly matches your home. Your cat will definitely thank you!